Vincentian entrepreneurs of small and medium enterprises benefited from a two-day workshop this week designed to prepare them for the export market and make them aware of the changes in the global business environment. 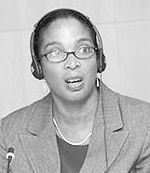 In an interview with the Agency for Public Information, Executive Director of the Caribbean Association of Small and medium Enterprises Inc in Barbados, Lynette Holder, said the workshop is being held simultaneously in seven countries: St Vincent and the Grenadines, Antigua, St Lucia, Dominica, Trinidad and Tobago, Guyana, and Jamaica. She noted that this training was part of a five-phase project to complete the two-year implementation of a regional export strategy. The first phase is the current export preparedness workshops. Phase two is an assessment phase and on the results of that assessment, phase three will focus on building capacity. Phase four will be technical assistance and on completion of phase five in two years, it is expected that the participating entrepreneurs would be export-ready. Holder said phase one was being funded by the Food and Agriculture Organisation in collaboration with the Caribbean Development Bank and the Caribbean Development Agency. The workshop was facilitated by Senator Sandra Husbands, Managing Director of Business Development Services Inc.
A follow-up workshop is scheduled for November 8 and 9.